Hair extensions are a great way to add life to your look. They come in almost any color imaginable, including natural and unnatural shades. Extensions look just like real strands when applied by a stylist. Different application methods are available, and each comes with benefits and drawbacks. Many women wonder if this beauty treatment is safe for long-term wear or as a one-off style boost. The answer mostly depends on your hair type, the extension you choose, and whether or not you have a professional put them in for you. The basic concept involves adding hair to your natural locks for aesthetic reasons. Today’s products can be designed to solve a specific problem. Some brands are better when adding fullness to thin hair all around the head while other brands are more appealing to wear on top of the head to cover a bald spot or enhance fringe. And there are some that are great for adding a few highlights without committing to a dye job. There are also hair pieces that sit on top of your natural stands, usually in the shape of a bun or ponytail. This category also includes lace fronts that work much like a traditional wig. Which Type of Hair Extension is Safe for Me? The tape-in method is newer than many of the other methods, but it offers a promising solution for thin or fine hair. A bond is formed using wefts and tape. They are lightweight and usually last up to eight weeks. They can be removed without leaving any damage behind, so it’s a safe option for most people. The sew-in method starts with the natural hair being braided, usually into cornrows. The extension is sewn into place through the braids using a needle and thread. This method is ideal for women with thicker hair because more extension hair will be needed to get the coverage they want. The process can take hours and requires tight braids that can pull on the scalp. This application method is technical in nature and should only be done by an experienced professional. This type of hair extension is more advanced and requires a greater time and money investment. Ultrasonic waves soften keratin, allowing a bond to form that will secure the extension in place. This method may not be the best option for thin hair. Trichologist Steve O’Brien with the London Centre of Trichology reported that there was a 15% increase in the number of women seeking damage repair after using glue-in extensions. The facility in London saw about 30 people per month two years prior. That number was up to 50 in 2011. Talk to a professional if you are considering this type of extension. Only an expert stylist should handle application, maintenance, and removal. A special tool is used to connect micro linked extensions. These are applied to individual strands of natural hair. The bond adds some weight that can pull on hair and may leave damage if not properly handled and maintained. 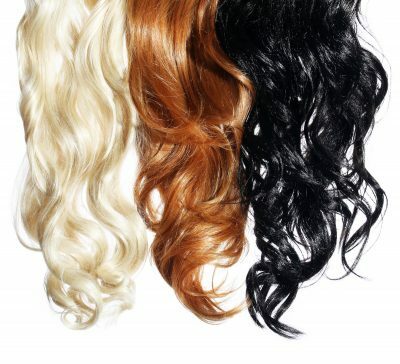 Clip-in hair extensions are ideal for anyone who wants flexibility without any permanent effects. They are temporary and easy to remove. The drawback is that this type may not hold well when applied to thin hair due to the weight of the clip. Thinner hair may also be at risk of damage due to pressure from the clips pulling on strands. Talk to a professional stylist before using clip-in extensions. There are several myths floating around about hair extensions that aren’t true or don’t apply to all types. Some believe that they don’t blend well with your real hair or will always leave damage. Each application method comes with different potential risks, which is why it’s so important to talk to a professional first. An expert can blend your extensions seamlessly and provide recommendations for the best products as well as proper care and maintenance. They can also handle application and removal with little to no risk of damage. Contact Tiffany Taylor today to learn more about which hair extension application method is the safest for you.